This run/walk is a fund raising event and 100% of your donations actually go to the research team. While the event also increases/maintains awareness about breast cancer, its purpose is to raise the funding researchers need to make significant progress. The registration fee is $38 per adult because statistics show that 1 in 3 persons will be diagnosed with cancer and 1 in 8 women will be diagnosed with breast cancer. We encourage each participant to raise an additional $12 or more to further fund this vital research. Will you walk or run 8K and raise additional funds in 2013 to fight those statistics? 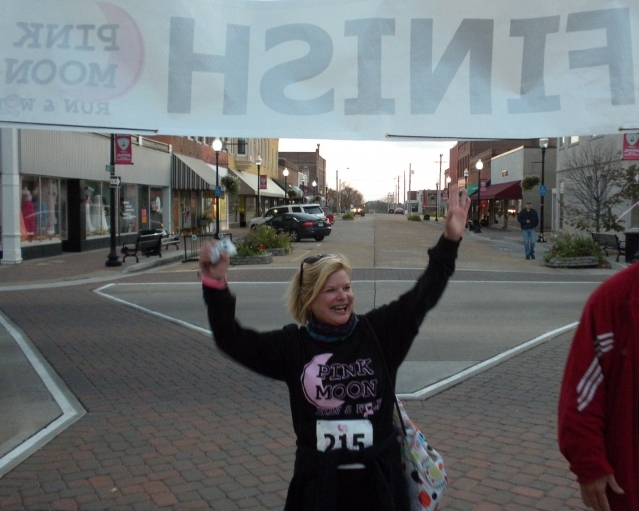 The first three Pink Moon-Jackson events have raised more than $25,000. We could double that in 2013! Money raised by the Pink Moon Run & Walk this year goes to a project focused on treating triple negative breast cancer patients. Details on past projects funded by A Sister's Hope can be found on the "Research Funded" page of our website.